Last weekend in the United States we celebrated Memorial Day, a national holiday to honor those who have served and lost their lives in the military service to this country. Reading through the various articles to mark and commemorate the occasion, I ran across an article on one of America’s greatest military men, General Dwight D. Eisenhower. “Ike,” as he was affectionately known to many, was a five-star general and Supreme Commander of Allied Forces in Europe during World War II. He is widely credited with turning the tide in the war in favor of the allies with a bold and sometimes unconventional military strategy. He was elected the 34th President of the United States in 1952 and presided for 8 years over perhaps the most wide-spread period of prosperity in US History, often known as the Fabulous 50’s. Besides being a well-respected military man and two-term president, he also possessed a common-sense, practical wisdom that, along his role of a great general and president, endeared him to many as a sort of a wise grandfather type figure. 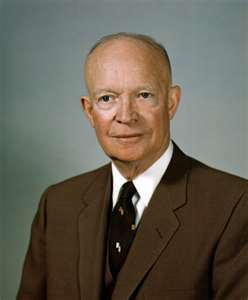 In his presidential farewell address to the American people on January 17, 1961, Ike imparted some very important pieces of wisdom and advice to the American people, and to the world, that seems to have gone largely unheeded, which, unfortunately, is often the case with the wisdom of our elders. Even if we respectfully listen to what we are being told, we do not always fully comprehend. And, If we do comprehend, often we soon forget as more pressing issues of the day take precedent. It was reading articles last weekend that I myself was reminded of the words of this wise and preeminent figure of the 20th Century. . In Ike’s farewell address, he warned about the rise of the military-industrial complex. While he is widely credited with first popularizing the term, many of its tenets were first laid out in the 1936 book Fascism and Big Business. In short, Eisenhower, the general who presided over the demise of fascism in Europe, was warning about its rise in the United States due to a too cozy relationship between the arms industry and the mechanisms of government and finance. Perhaps because the term was new and unfamiliar, most people did not fully grasp what he was talking about. Yet, in hindsight, he appears to have been a prophet of sorts, as indeed such an arrangement has taken hold and garnered great power and influence. Much of the root of this problematic and dangerous arrangement can be traced to the protracted cold war with the former Soviet Union. Whether the cold war enabled the military-industrial complex or whether the latter enabled the former is a matter of debate, but there really can be not debate about the fact that the United States has remained on a military footing, in one form or another, for much of the last 75 years. Given this circumstance, it was almost inevitable that a close relationship would develop between industry, government, the military and those entities that finance the whole arrangement. “A vital element in keeping the peace is our military establishment. Our arms must be mighty, ready for instant action, so that no potential aggressor may be tempted to risk his own destruction. Our military organization today bears little relation to that known of any of my predecessors in peacetime, or, indeed, by the fighting men of World War II or Korea. Pertinent to the discussions commonly undertaken here on this site, and the pretty much the point of this entire article, Eisenhower went on to describe how the military-industrial complex would impact scientific research and scientific discovery. I believe Ike was not only wise but a veritable prophet it terms of predicting the untoward effects of the military-industrial complex on the society as a whole, including the scientific establishment. Ironically, the Cold War technically ended (1991) around the same time that cold fusion came into the public consciousness (1989), yet the institutions and practices that it gave rise to still remain firmly entrenched some 2 decades later, with US-led wars over the last decade perhaps giving it new life when perhaps its power and influence should have otherwise greatly diminished. The Soviet Union is said to have collapsed due to its own version the military-industrial complex, and many believe the US is close to suffering the same fate. Of course, given the influence that both the US and Russia, the remnant of the former Soviet Uniion, have had on shaping the world in years since World War II, it can be reasonably argued that the MIC/MFC has shaped the whole world in the last 7 decades. Not only do we have famous physicists at MIT scuttling research dollars for promising cold fusion research, we have academics in Italy scolding the high school teachers at Pirelli Industrial High School for “corruption of knowledge of young people” in terms of the school’s Athanor experimental cold fusion device. And while LENR/cold fusion is the matter at hand on this site, and I am attempting to explain some of the reasons why research has been opposed and stifled, one can only imagine the number of other revolutionary technologies that have not been fully developed or pursued because of the influence of the MIC. When looking at the world around me, I am at times struck by how primitive the landscape looks, with power poles sticking out of the ground, wires hanging everywhere, dirty cars spewing poison into the atmosphere, roads and bridges in disrepair, etc. If it sometimes hard to believe we are living in the 21st Century. We may not have listened to Ike, or forgot what he told us, but now it is time we be reminded that we were warned. This entry was posted in Articles and tagged cold fusion/LENR research, Dwight D. Eisenhower, military-industrial complex. Bookmark the permalink. Mark LeClair, the CEO of NanoSpire, Inc., found that his invention could make “a total of 78 elements ranging from lithium to californium.” He realized that this fact has very important “national security” implications. His machine can make uranium and plutonium in unlimited quantities and he notified the United States Government of this fact. Now the United States and other nations are involved in negotiations with Iran regarding Iran’s uranium enrichment program. Those negotiations are a total farce. The Untied States knows that every nation on Earth can now rapidly produce large quantities of plutonium, which can be fashioned into nuclear weapons. The negotiations with Iran have been designed to fail and to thereby provide the Untied States and its allies with an lame excuse to attack the Iranians. The negotiations are just another propaganda stunt by the Military Industrial Complex to justify putting hundreds of billions of our tax dollars into their pockets. The MIC will soon murder another million people and call it “self defense” and then the MIC will bill us for the cost of that butchery. Thanks for more interesting information on NanoSpire. Although I still have my reservations, I must admit I am intrigued. A company in California seems to be working on a similar technology. And of course the ShockWave hydrosonic pump of Hydro Dynamics, Inc.
also uses cavitation and is currently being sold commercially. Hydro Dynamics is trying to avoid controversy by not advertising their device as being over-unity, but merely highly efficient. It would appear that cavitation has already beat LENR to the market place. The ShockWave pump has been sold commercially for over 5, maybe closer to 10, years now. During an interview with Sterling Allan, Mark LeClair stated that after he and his associates discovered that their device produces element transmutations he placed telephone calls to the Department of Homeland Security and the Federal Bureau of Investigation and the Department of Energy and the Nuclear Regulatory Commission. His statement begins at 1 hour and 22 minutes and 3 seconds. Wow! I’d like to see a list of the isotopes that are formed. We live in exciting times. But can the cavitation process explain what is taking place in the gas loaded LENR systems? In the case of gas-loaded LENR systems, I have considered the possibility that microscopic ball lightning may be forming and then imploding inside of the discontinuities in various metal lattices. On March 4, 2001 the first episode of a show called “The Lone Gunman” aired on US television. The plot of this episode revolved around a commercial airliner being hi-jacked, with plans to fly it into one of the towers of the World Trade Center. Towards the end of the show it is revealed that the hi-jacked plane is being remotely piloted (like a Predator drone) and the perpetrators of this plot are not foreign terrorists but a small faction within the US government who are seeking to start a war largely to boost arms sales, which had greatly fallen off after the end of the Cold War. Six months and 1 week after this TV show aired, the 9/11 attacks occurred. Did the writers and producers of this show know something we didn’t or was this just an incredible coincidence? Eisenhower saw the monopolization of intellect by the MIC as the greatest danger. Since under the guise of national security the junta could hide all manner of international power mongering. And if MIC has been acquiring advanced technology from superior races – at what cost?? Some kind of guinea pig program to sell/trade human beings for testing or entertainment? 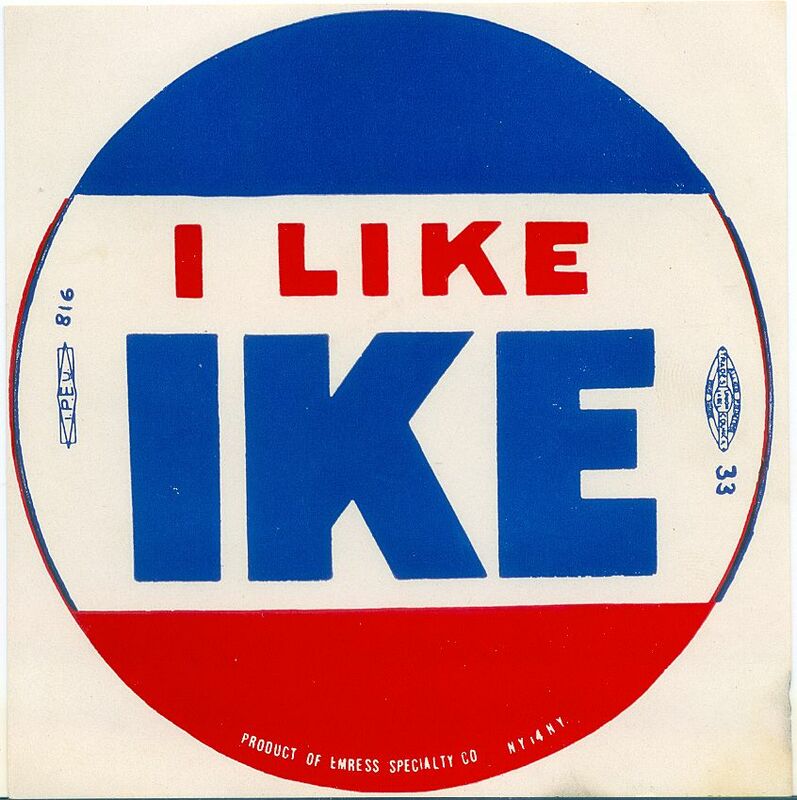 Ike was not just prescient – he was reporting to the public actions taking place against his will – the establishment of a shadow government that governs industrial nations. Astute observation GreenWin. I got the same sense A number of historians report that John F. Kennedy, who took office shortly after the above speech, was taken by surprise by how deeply the US was involved in Vietnam in 1961. There was knowledge that the US was already involved there in some capacity but the true extent of involvement was widely unknown. The rest, as they say, is history. See the beginning and then the 29:30 marker. They say that the things developed by the US military/industrial complex are beyond common understanding, with some people claiming that it has surpassed known technology by many generations (and there is essentially two governments). Of course, you can go a little further and say they are collaborating with extraterrestrials on technology transfer. Hard to know, hard to believe. To go back to the original question: what is the price of victory in war, and the deterrent effect our military superiority has? In other words, we pretty much know the price the US has paid for spending more on the military/industrial complex than all other governments combined, but what has it bought us – technological superiority that guarantee victory in virtually any situation?